Provide comfort for the family of Lawrence Hornor with a meaningful gesture of sympathy. 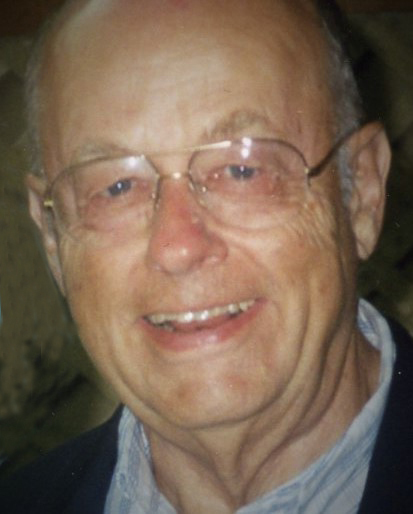 Lawrence Culver Hornor, 89, died peacefully on February 12, 2019 at the New Hampshire Veterans Home in Tilton. He was a long-time resident of Amherst, New Hampshire. Mr. Hornor graduated from Yale University Phi Beta Kappa in 1951 and was a Baker Scholar at the Harvard Business School, Class of 1953. After serving in the United States Army he started his career in the Bettis Atomic Power Division of Westinghouse Corporation in Pittsburgh, Pennsylvania. He moved to Nashua in 1959 where he began a 25-year career with Nashua Corporation, serving first as Comptroller, followed by Vice President of Corporate Development and Acquisitions overseeing several divisions including Computer Products, Photofinishing, Office Products and Specialty Chemicals. In 1967 while on an assignment at an office copy subsidiary of Nashua Corporation in London, he met his wife Holly Stevens. After leaving Nashua Corporation he worked for Conway Management Company, where he assisted Mr. Conway in writing two books on Quality Control, before starting his own consulting business, Hornor Associates. He co-founded Pilgrim Medical Equipment, a home-health service which later was acquired by Keene Medical Equipment. In 1988 he took the Series Seven exam to become a Financial Advisor and began a new career with Shearson Lehmann before joining A. G. Edwards and Sons where he worked until his retirement in 1997. Mr. Hornor served on the boards of the Souhegan Valley Nursing Association, Treasurer of the Charles E. Nutt Fund of Southern NH Medical Center and the First Federal Savings Bank of Nashua. He was a member of the Unitarian-Universalist Congregation of Milford. A long time summer resident of Ocean Point, Maine, Larry enjoyed sitting watching the sunsets on his porch overlooking the ocean which gave him great pleasure. Larry is survived by his wife of 51 years Holly (Stevens) Hornor of Amherst, his children Mark of San Jose, CA, Richard of Framingham, MA, Elizabeth Boquet of Lausanne, Switzerland, Nye of Amherst, NH, Bart of Littleton, CO, Holly Cleary of Eliot, ME and Hilary Boynton of Topanga, CA and their spouses. In addition, he leaves eighteen grandchildren and several nieces and nephews. He was predeceased by his two brothers Frank and Donald Hornor. Larry will always be remembered as a kind, loving and generous husband, father and grandfather. His keen sense of humor and quiet demeanor will be remembered by his many friends. The DAVIS FUNERAL HOME, One Lock Street, Nashua has been placed in charge of arrangements, www.davisfuneralhomenh.com, (603) 883-3401 “ONE MEMORY LIGHTS ANOTHER”. To send flowers to the family of Lawrence Hornor, please visit our Heartfelt Sympathies Store. Provide comfort for the family of Lawrence Hornor by sending flowers.